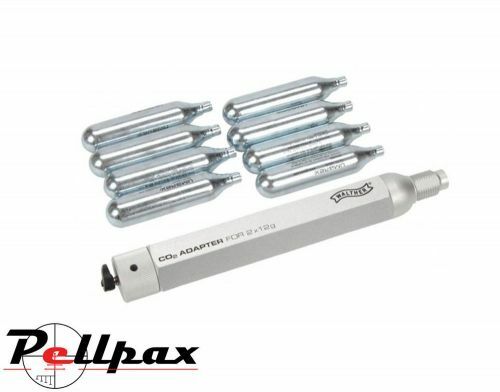 This converter allows the use of 2 x 12gr CO2 capsules instead of a single 88g. The end of the adapter has a valve which prevents CO2 from escaping. The valve does not open until the adapter is screwed into the gun and it closes when it is removed. This saves your gas. You could use the adapter in two different guns and swap it when needed or take the adapter out when not using your gun and not waste a full 88g´s worth of gas.